Taking an active role in the way your agency handles your marketing activity is essential to maintaining a good relationship with them. As an extended part of your team, it’s their job to work towards achieving your business goals and spend your budget in the wisest way. But sometimes, your agency can get a little comfortable, or changing priorities for both your company and theirs can mean a shift in focus. Whatever the reason, it’s not unusual to find that after a few years with an agency it may be time to move on. Here are five tell-tale signs you’ve reached that point. Regular reviews and reports are essential for staying on track and ensuring that the agency is working towards your objectives. At the beginning of a relationship, agencies bend over backwards to ensure everything is ‘transparent’, i.e. you’re seeing regular reports and having frequent meetings, but if this has tailed off and you find yourself chasing for monthly reports or dissatisfied with the review meetings, it may be time to look elsewhere. Reviews should cover the latest results, what work has been done, what has worked and what hasn’t, any alterations in strategy and what is planned for the next quarter. Your agency should also be making recommendations about how and where to spend your budget. Of course, for them to do this you have to acknowledge their expertise and follow their advice. If you are missing any of the above from your reviews, ask your agency to include it at the next meeting before deciding whether to open up for new pitches. 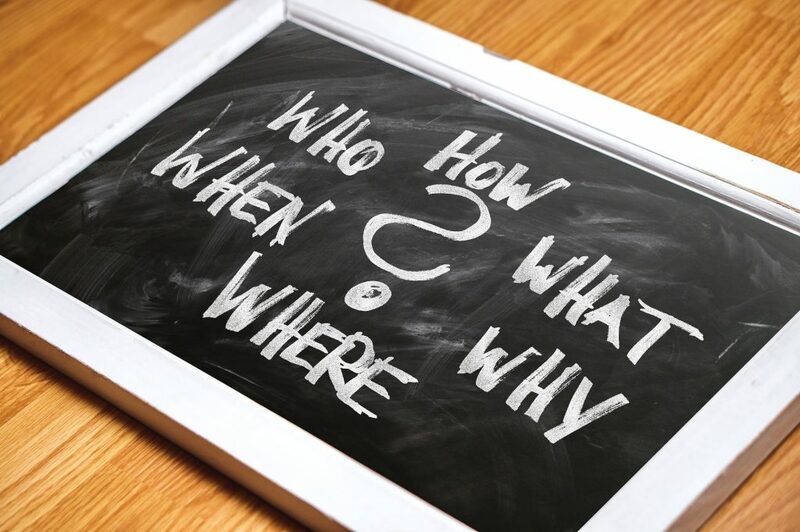 Following on from the above point, if your agency begins to withhold information or doesn’t offer it up without being asked it’s time to start asking questions. Handing over hundreds or even thousands of pounds each month requires a basic level of trust that your money is being spent well, so if your agency is reluctant to give you, say, a quarterly breakdown of how they’re spending your budget, or access to your analytics dashboards, it suggests there’s something to hide. Handing over hundreds or even thousands of pounds each month requires a basic level of trust that your money is being spent well. Part of the reason for using an external marketing agency is to support your in-house team with tasks they may not have time for. The agency may take on strategy planning, aspects of digital marketing or execution of print campaigns – whatever their role, you would expect the strategy to change as your organisation and its objectives change. In line with this, a good agency will make recommendations for the budget, moving money from SEO into PPC if needed, for example, or scaling back PPC when relevant to put money into a video or social campaign. You would also expect to see a long term improvement in results as campaigns become more effective – by which we mean year on year improvements as opposed to the weekly peaks and troughs that are inevitable in a fluctuating market. If one or both of these things are beginning to stagnate, or your results have been trending downwards for a significant period of time, it might be time for a fresh pair of eyes on the marketing. A new agency can bring different ideas and skillsets to the table, giving your strategy and campaigns a much needed boost. If the staff at the agency are changing frequently and you find yourself with a new account manager or team member more than once a year, it could be a clue that something untoward is going on behind the scenes. Agencies have a reasonably high turnover rate in general – most employees stay for around two years – but if the team on your account is changing more often it could be that they are dissatisfied, or that redundancies are being made for financial reasons. If the agency isn’t treating its own employees very well, you’re right to question how seriously it’s taking your business. 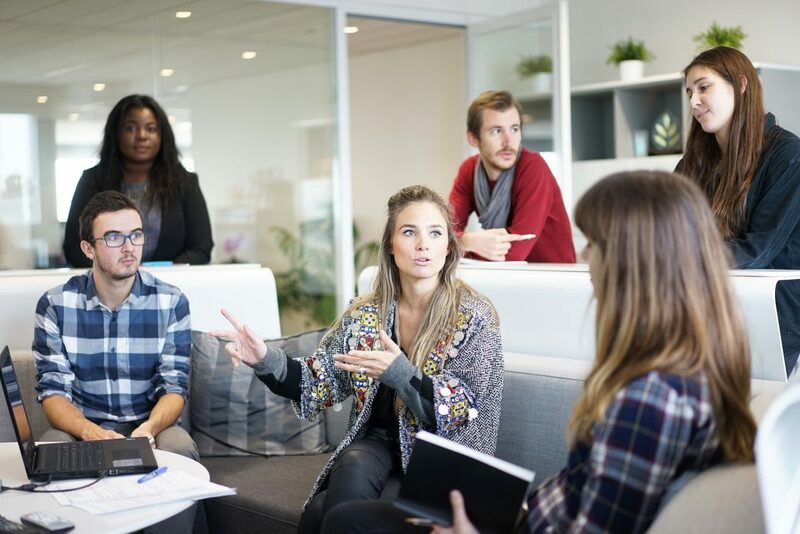 Don’t be afraid to ask questions about team changes – after all, it is in your interests for the staff on your account to feel valued and to remain aware of any restructures that might affect the work being done for you. If the agency isn’t treating its own employees very well, you’re right to question how seriously it’s taking your business. Obviously a relationship is a two-way thing, so your agency should be taking an interest in how your business is performing as a result of their work. That means asking for information such as what kind of conversions your PPC is driving (are you getting good leads or poor quality ones, for example?) or average order values. If this kind of detail isn’t available in the marketing dashboards they have access to, or they’re not probing deeper, it could mean their interest lies in simply doing what’s necessary to keep collecting their monthly fee, rather than whether their activity is actually impacting your business. Perhaps it’s time to find an agency that will ask the right questions. How long you stay with your agency is really up to you. If you don’t feel you’re getting the results or the communication you expect, address it with them and give them a chance to remedy it. If, however, things don’t improve (or improve briefly and then revert back), dig out your contract and see what the notice period is, and if there are any terms surrounding it. You may want to notify your agency that you are opening the pitch process before terminating a contract. Re-pitching keeps an agency on its toes and reminds them that they can’t rest on their laurels when it comes to your business. Invite them and a few others that you’ve carefully researched to pitch, and then make a decision based on the needs of your team and your business. In a 1996 essay, Bill Gates wrote that ‘content is king’. Some fifteen years later this phrase became to buzz of the digital marketing world. You couldn’t visit a marketing blog or sit through a PowerPoint presentation without reading those words. They became ubiquitous. And then the king died. Content has, until now, been seen as the tip of the iceberg, the finishing touch to all other marketing efforts. Although pitched as the supreme ruler, its consideration has all too often come second to design elements, to keyword rankings, to the noise of 50% off and great value. Its benefit has always vied with contradictory SEO advantages, and too many times, it has lost. But the internet is changing. The king, whom everyone said held ultimate power, is dead, and in his place comes the birth of a republic. The republic of content. The importance of good quality, consistent, relevant, engaging content is only growing. There is no longer any space for it at the tip of the iceberg; it is now the 90% that sits under the water, keeping entire strategies afloat. The content republic means that any and every marketing strategy should start with content, with the words that describe products and services, that persuade and entertain and engage. And what that means, whether you like it or not, is that the employment of a professional writer – or better yet, a team of professional writers – is no longer a negotiable. Businesses cannot, and should not, leave content creation to its SEO team, or indeed to the junior who happens to have reached the dizzy heights of A-level English and achieved a respectable B-grade. Do you really expect to convert with B grade content? In reality, it doesn’t matter if the person you employ has a degree in chemistry from Durham, as long as he or she can write. And by ‘write’, I don’t mean simply string an adequate sentence together – most of us can do that, and that’s why there is such a common misconception that content is something anyone can do. I mean that the words are thoughtful and provocative, the grammar and sentence structure competent, the style relevant for each marketing channel, the tone of voice suitable, all copy consistent and targeted correctly. Starting to look a bit more difficult isn’t it? This in turn means that you can’t expect to hire a good, experienced writer for peanuts, nor can you simply pay someone you find on a freelancing website £8 per page and expect to get quality copy. Content is the same as any other discipline: you get what you pay for. So, the biggest asset to your business in 2015 is, trust us, a writer. If that’s a no-go, there’s nothing to stop you getting your content written and managed by a professional copywriting company. It’s often cheaper than getting somebody in, and offers more flexibility for regular and ad hoc work. The birth of the content republic means that content should be at the foundation of your strategy, and that the needs and interests of your customers should be paramount. Good content, alongside effective analysis, ensures the consumer remains your focus, regardless of internal goals. I have worked with marketing teams whose aims revolve solely around what the business is trying to achieve, and have had to be actively re-educated to think customer-centrically. Quality copy will always pitch a product or a service to appeal to the customer’s requirements or desires. It answers the question, “And so what?” before it is even asked. Good content considers why the offering will be attractive to the target audience, relates how it fulfils their needs, and injects personality into a potentially faceless brand. This is so important in order to move forward, to expand and increase conversions and brand awareness. You might be thinking that no-one will notice the odd grammatical error or poorly written blog post, but they do, and bit by bit those weak pieces of content erode consumer trust in your brand. Let’s touch on personalisation for a second too. This is the big word for 2015 – everyone is trying to get as much information as possible so that they can relay relevant messages. The data gathering is obviously essential, but if the copy isn’t properly targeted and executed, no amount of data will ever increase your sales. Again, it’s about trust, authority and familiarity. Content underpins everything about a business’ marketing – what is said on the website, how blog and social posts are written, how the PR team represents you, the way emails are phrased depending which consumer segment they target, even how a PPC ad entices a potential buyer in. It all has to tie in, it all has to be consistent and positive and on brand. In short, it is an – indeed the – essential weapon in your arsenal. Don’t get left behind this year. Find great writers, employ them, and watch your business grow. Research shows that the average wage of an in-house copywriter is a staggering £35k – an expense of nearly £3,000 per month. While there’s no questioning the value an in-house copywriter provides to a company, it remains a fact that affordable means of supporting marketing activity are always welcomed. With the new Managed Copywriting service from Minerva Copywriting, you have the opportunity to support your content generation with a team of experienced copywriters and content editors. For just the fraction of the cost of a team of in-house copywriters, Minerva Copywriting will able to supply you with high-quality content each month, whether you’re in need of SEO copywriting, press releases, or print campaigns. Prices for a Managed Copywriting service start from as little as £495 per month*, enabling you to have instant access to experienced professionals, each ready and able to supply the content that meets your needs. Not sure why you need a copywriter? Content is integral to even the most basic marketing campaign. Whether it’s the text on your website, the copy in an email, or the script for a video, these words need to be ably crafted by experienced, knowledgeable copywriters. At Minerva Copywriting, our team has accrued over 25 years’ experience in writing professionally across a host of industries, and can provide the copywriting services you deserve at a cost that is affordable and in a manner that is simple and convenient. Discover more about how Managed Copywriting from Minerva Copywriting can help drive your company’s marketing material to new levels of success. With great savings of up to £3,000 to be made, it makes sense to invest in a professional copywriting agency that has the ability to connect with you and your customers. *Terms and conditions apply. Please contact Minerva Copywriting for details.